Esau, a Honduran national associate for MAG, and our two MAG pilot/mechanics, Paul and Sean. At Rus Rus to begin the flight back to the US. In July, we recovered our Cessna 206, N9719Z, from our Honduras base in Rus Rus. MAG pilots Sean Garrigan and Paul Jones executed this mission. 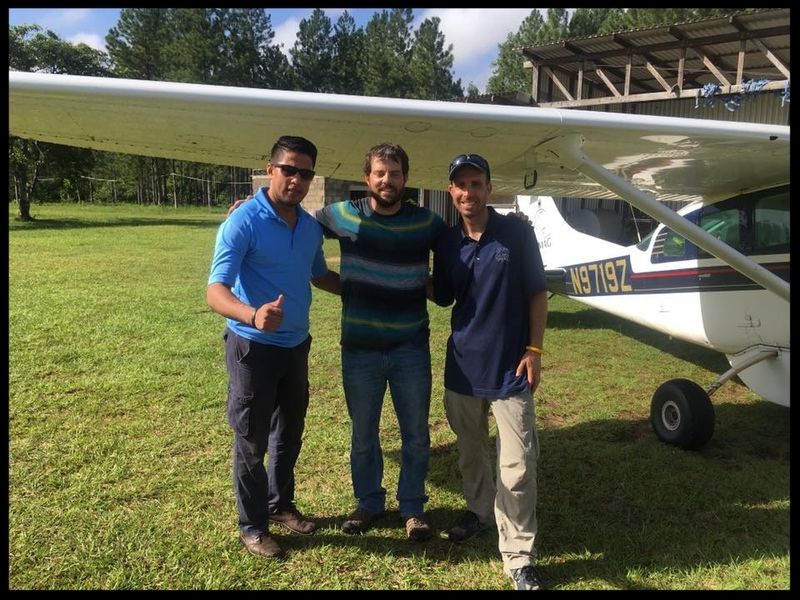 This aircraft has faithfully been operating in La Moskitia region of the remote Eastern Honduras, where the villages are largely cut off from society and receive very little services. The small, one-room public school struggles to find staff that wants to be posted this remotely, as does the very small Christian chapel nearby. In 2010, in response to increasing need, MAG reopened the shuddered medical clinic and placed a N9719Z there with full-time staff. Immediately, tangible results were evidenced- patients began arriving, some having walked for days. New mothers in the area, who were previously not giving their new children names due to fear of their death, started to name their children because of the confidence they had in nearby support from the medical clinic and medical evacuation services, if needed. As a result, MAG was seeing open doors for the Gospel to be shared in written and verbally. With adequately trained people and well-equipped airplanes, MAG can do this critical work in the remote areas of the world, with your help. Please take a moment to consider helping us through PRAY, or a word of ENCOURAGEMENT to our team, or perhaps a GIFT of finances to our AIRCRAFT TLC fund. Visit our Donate page and, when prompted, please select AIRCRAFT TLC to direct your gift toward the refurbishment of N9719Z- being renamed “N383MG”. Our friends at MMS Aviation with an example of the many parts that are overhauled or replaced on a typical refurbishment. We hope to have N383MG serving again in Central America soon! Projects this large can take a year or more, depending largely upon how much funding can come and how quickly. Please pray with us. With your help, we make a great team! Older PostDIY-African Jungle Airstrip Construction!